The new model Sport 18' GT is a perfect r.i.b to start cruising. With its 554 cm in length and with a width of 247 cm it provides well comfortable space for at least four people thanks to its perfect layout and some innovative solutions such as the retractable driver's seat. There are many features that place it at the top of its sector and in particular its record-breaking performance. 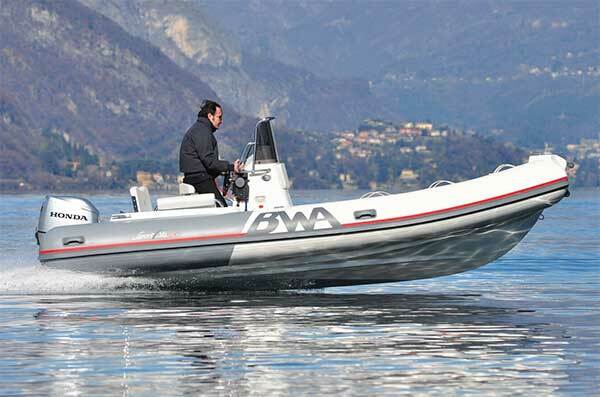 Equipped with a 40 hp outboard engine, it reaches 32 knots at light load. In addition, at cruising speeds from 18 to 22 knots covers over two miles per liter (over 7.5 miles per gallon), setting an interesting record of economy. The trim is always correct at any speed and with any load and this makes it easier to drive, even if you do not have any experience, and also makes navigation more enjoyable for the entire crew. It has two large sunpad areas, both for two people; in the bow area you can also set a dinette with seating for four, while at the stern, reclining the back of the sofa, you get a sunpad with headrest along the sides. Furthermore, by inserting an extension in the driving position, the sun area could be further extended. The cushions are soft and do not absorb moisture. 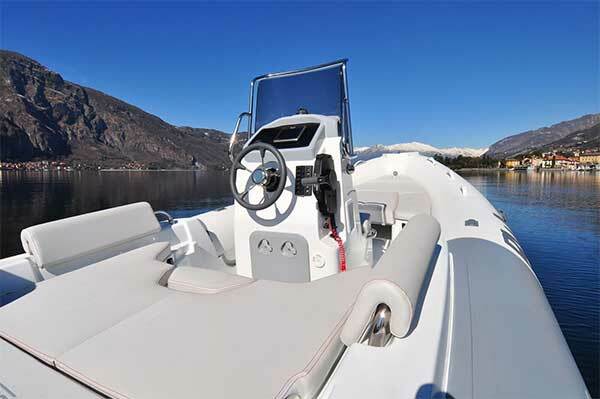 The bolster of the pilot, when it is not used, goes down into the stern seat, so it does not clutter; moreover, in a raised position, it allows to drive setting free the entire sofa for the passengers. The extra-long fiberglass platforms extend the bathing area. It's very practical to use. The lockers are comfortable and they have a large capacity. There are many steel handrails and many fabric handles. 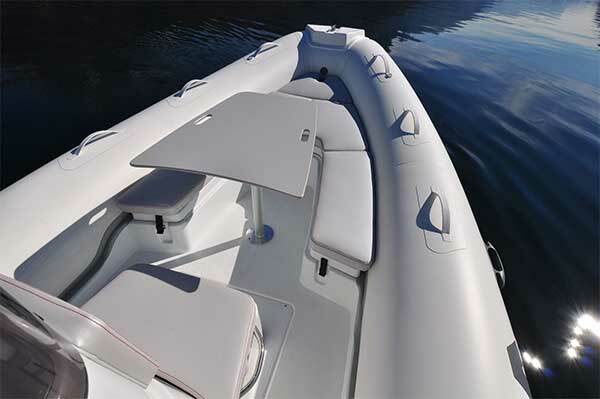 The BWA Sport 18' GT can be customized by various accessories, including the fiberglass/steel roll bar with the bimini.